The United States Agency for International Development (USAID) has recently stopped funding projects of a number of Palestinian civil institutions that support the boycott of Israel. Lawyer Salah Ouda told PIC's correspondent: "The problem began when the Israeli center to monitor Palestinian NGOs started monitoring all Palestinian civil institutions that support the local and international boycott of the occupation." He added that this center began last year to incite against the Palestinian civil institutions that receive funding from USAID, and which participate in activities calling for boycotting Israel. He noted that this incitement resulted in breaking into and conducting searches in the headquarters of some institutions, and confiscating many of their possessions. Activist Omar Nassar confirmed that the activities calling for boycotting Israel and which are carried out by the various bodies across the world began to bother the occupation, and to put pressure on it. 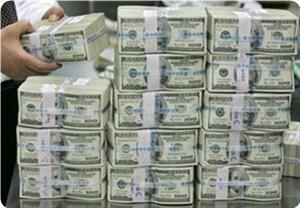 Lawyer Ouda noted that development projects of the Palestinian NGOs, funded by USAID, were suddenly stopped. 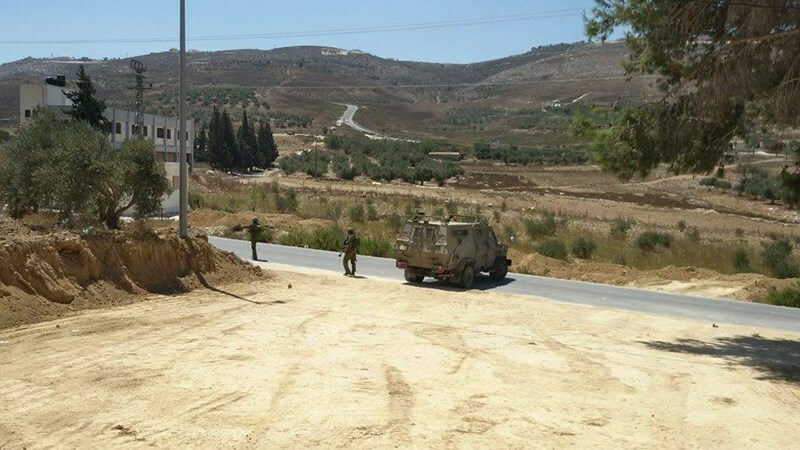 Another activist Suhad Masri said USAID stopped funding these projects as a punishment against these institutions for supporting the boycott of Israel. She called for forming a front for the boycott of U.S. funding and criminalizing receiving conditional funding from America. As international concert season begins, calls for cultural boycott of Israel resume: British pop duo The Pet Shop Boys is facing pressure in Britain to call off its planned performance in Tel Aviv next Sunday. Pro-Palestinian are planning to protest outside an event the band members will be participating in later this week. "Open your eyes to the ugly reality of apartheid Israel," reads a poster prepared for the protest, which is being promoted by a pro-Palestinian called Innovative Minds. "Cancel your Tel Aviv concert. Stand with the oppressed." The poster features a picture of the Pet Shop Boys, Neil Tennant and Chris Lowe, wearing glasses with the captions "1 child killed every three days" and "2 kids caged every day." Neil Tennant said in response to the boycott calls that there was no room to compare between the Israeli government's policy and apartheid in South Africa. The pro-Palestinian demonstration will be held on Wednesday outside the British Film Institute during a screening of classic film "Battleship Potemkin" in the presence of the duo, which composed a new soundtrack for the movie. It should be noted that so far, the planned protest has not created a significant buzz in British media and social networks. Plug Production Generators, the company producing the concert in Israel, offered the following statement in response: "As in most times when artists come here, pressures are being exerted by the same organizations once again. We're not taking it very seriously. The preparations for the show are underway and the band is very excited about visiting Israel." Alicia Keys is being urged to cancel a July 4 concert in Tel Aviv in a petition by Palestinian-American groups signed by more than 12,000 people. A delegation representing coalitions of more than 500 U.S. organizations, delivered the document to the New York City office of Alicia Keys' non-profit aimed at fighting HIV/AIDS, Keep a Child Alive. The petition asked Keys "to stand on the side of justice and cancel her gig in Tel Aviv, Israel," and to "join us now in the cultural boycott of Israel, and help stop entertaining apartheid." The delegation met with staff at the organization, who explained that they were aware of the ongoing efforts to encourage Keys' cancellation. Delegates passed along materials that included details of the global boycott campaign and reports from rights organizations documenting Israel's violation of Palestinian children rights, which they confirmed was received by Peter Twyman, executive officer of Keep a Child Alive. Keys recently told The New York Times that she planned to go ahead with the show, despite letters calling on her to cancel from the Palestinian Campaign for the Academic Cultural Boycott of Israel, novelist Alice Walker, Roger Waters of Pink Floyd and the Israeli group Boycott! Supporting the Palestinian BDS call from Within. Andrew Kadi of the U.S. Campaign to End the Israeli Occupation who delivered the petition explained, "We assume Alicia Keys wasn't familiar with Israel's abuses of Palestinian human rights, when scheduling, because her performance is legitimizing a country that systematically undermines her non-profit's mission, that 'every person has the right to health care and that all children deserve a future.' "
In response to Israel's large-scale abuses of Palestinian rights, Palestinian Civil Society launched a call for a global campaign of boycott, divestment and sanctions of Israel in 2005, modeled on the call by black South Africans for a boycott of apartheid South Africa that helped bring an end to the racist system. In response, numerous musicians, including Elvis Costello, Santana, The Pixies and others have canceled concerts or refrained from playing in Israel. In May, physicist Stephen Hawking canceled his planned participation in a conference in Israel, responding to Palestinian requests. "De genoemde praktijken vallen niet te rijmen met de waarden die de UEFA en de KNVB uitdragen, zoals FairPlay, verbroedering en anti discriminatie. Wij roepen de UEFA op om de keuze voor Israel terug te draaien. Tegelijk roepen wij de KNVB op een voorbeeld te stellen voor andere landen in Europa en het Nederlands elftal terug te trekken uit dit EK. Morgen zal onze brief hierover besproken worden tijdens de bestuursvergadering van de KNVB." Tientallen activisten hadden zich met spandoeken en vlaggen verzameld voor de Arena om hun boodschap ten gehore te brengen: Kick Israeli Racism Out of UEFA. Zij werden hierbij muzikaal ondersteund door de Marokkaanse groep Dakka Fantasia. De actie trok veel bekijks van de supporters, en velen waren geïnteresseerd in de redenen van de actie. GroenLinks gemeenteraadslid Nourdin el Ouali was er ook bij: "Ik heb veel gesprekken gevoerd met supporters en ben evenveel gefotografeerd met onze spandoeken. Voor mij een duidelijk teken dat een groot deel van de supporters het met ons eens is: een belangrijk toernooi als het EK voor minderjarigen hoort niet thuis in een land dat stelselmatig het internationaal recht schendt. En dan gaat het om de meest basale universele rechten van de mens, zoals het vastzetten van Palestijnse kinderen zonder beschuldiging of vorm van proces. In zo'n land mag geen Europees Kampioenschap worden gehouden." De actie "NEE tegen EK in Israel" werd georganiseerd door Diensten en Onderzoek Centrum Palestina (docP) en aangesloten organisaties en is onderdeel van een wereldwijde campagne Red Card for Apartheid. Palestijnse sportorganisaties en vooraanstaande atleten hebben zich publiekelijk uitgesproken tegen Israël als locatie voor het kampioenschap. Vooraanstaande spelers als Frédéric Kanouté, Eden Hazard van Chelsea, Abou Diaby van Arsenal en vijf spelers van Newcastle -- Papiss Cissé, Cheick Tioté, Sylvain Marveaux, Yohan Cabaye and Demba Ba -- lanceerden in november een oproep om het kampioenschap niet in Israël te houden. DocP is in 2012 opgericht en zet zich in om boycot, desinvesteren en sancties (BDS beweging) in Nederland te ondersteunen, te bundelen en te versterken. Concreet houdt dit in dat docP gestart is met onderzoek, informatievoorziening en verschillende campagnes tegen bedrijven. G4S' involvement in the detention of Palestinian children in Israeli jails dominated the company's Annual General Meeting On Thursday 6th June, overshadowing all other business, including last year's Olympic security fiasco, said Palestinian Solidarity Campaign (PSC) in a press release. The AGM was also interrupted by protestors shouting 'Who killed Jimmy Mubenga?' in reference to the Angolan asylum seeker who died in England while being escorted onto a plane by G4S security guards in 2011. The protestors, who unfurled a banner saying 'Stop G4S', were escorted from the meeting. Throughout the two hour AGM, Palestinian solidarity campaigners demanded to know when G4S would be ending its contracts with Israeli prisons, where Palestinian children, women and men are held, often without trial, and routinely tortured. Of the 16 questions asked by shareholders, seven were about G4S' Israeli prison contracts. Campaigners holding shares were dotted amongst the total of 60 shareholders. 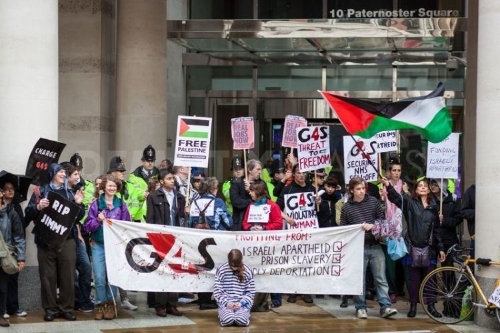 Campaigners insisted on being given a timeframe for when the review would take place and when G4S would disassociate itself from its Israeli prison contracts. However, both Mr. Connolly and Mr. Almanza insisted that no breaches of 'international humanitarian law' were being committed against Palestinian prisoners held in Israel's jails. Campaigners were also outside the AGM all afternoon, demonstrating with placards, with some dressed as hooded prisoners. Award-winning musician Alicia Keys told the New York Times, “I look forward to my first visit to Israel. Music is a universal language that is meant to unify audiences in peace and love, and that is the spirit of our show.” The Simon Wiesenthal Center has praised Keys’ as “courageous,” for coming to Israel to perform despite public pressure to do otherwise. Keys’ is considered one of the most successful pop singers, with her albums selling over 35 million copies and having 14 Grammy Awards to her name. 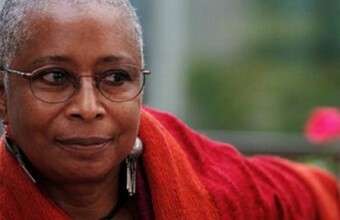 Alice Walker, the author of the Color Purple, wrote an open letter to Keys, stating, “It would grieve me to know you are putting yourself in danger (soul danger) by performing in an apartheid country that is being boycotted by many global conscious artists.” She also compared the Israeli regime to the apartheid system that used to exist in the American south, even going as far as claiming that Israel is worse than what Jim Crow used to be. Walker has a long record of anti-Israel activism behind her name. She visited Gaza in 2008; is actively involved with the BDS Movement at the University of California at Berkeley, which recently passed a BDS motion; and refused to have the Color Purple translated into Hebrew, citing political motivations. She also was a supporter of the Gaza Freedom March and the Gaza Flotilla. Additionally, Walker has opposed Israeli participation in the Toronto Film Festival. Yet Walker was not the only person to put pressure on Keys. Musician Roger Waters also encouraged Keys to cancel her performance in Tel Aviv, inviting Keys to “join the rising tide of resistance,” and noted that “nothing has changed since the bad old days of apartheid South Africa and Segregated America. We must stand united with all our brothers and sisters against racism, colonialism, segregation and apartheid.” Despite that fact that the BDS movement implemented a social media campaign designed to pressure Keys, she did not change her decision. He pointed to “what is happening in Iran, Syria, Lebanon and Egypt” as examples for how it is impossible to have peaceful relations with Islamists dedicated to Israel’s destruction. For the original article, visit unitedwithisrael.org. German Chancellor Angela Merkel has given in to pressure to adopt provocative labeling for products made in Israeli settlements. 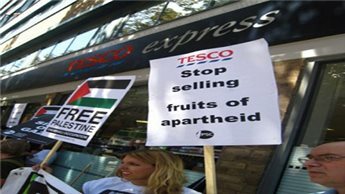 Next stop: a full boycott of Israeli goods? The left-liberal German Green party finally forced the hand of the conservative Merkel administration to explicitly declare—what before had been an open secret—its support for product labels covering export goods from the occupied territories in the West Bank and Golan Heights. 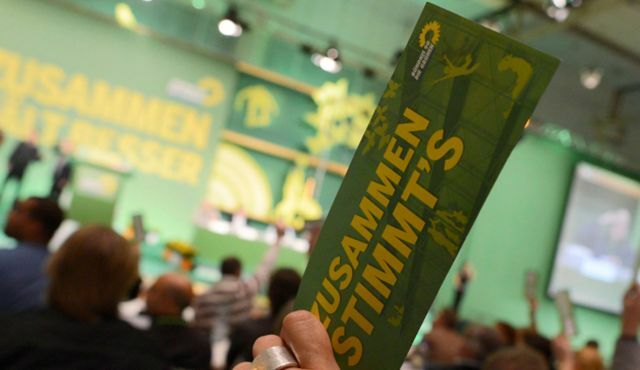 Germany’s Green Party unleashed a firestorm of criticism in May over its parliamentary initiative to label Israeli exports to Europe and the Federal Republic. Critics in Germany and the United Kingdom argued that the Green Party push was an eerie reminder of the Hitler movement’s “Kauf nicht bei Juden!” [Do not buy from Jews!] boycott action and a modernized form of the yellow star. The measure is an unashamedly provocative anti-Israel move by the largely pro-Israel Merkel administration. It will blur the lines between an all-encompassing boycott of Israeli merchandise and demarcation of settlement products. In short, the pro-Palestinian Boycott, Divestment and Sanctions movement will push the punitive label action down the slippery slope of blocking access to all Israeli goods. The details of Germany’s move to discipline Israel in the product arena could place a further strain on Merkel’s relationship with the Jewish state. Just last month it was revealed that Germany upset Israel because it seeks a seat on the UN Security Council in 2019. Germany’s entry into the race for the coveted UN Security Council spot will likely pulverize any chance Israel has to secure the seat itself (an admittedly uphill battle, but since 2005 Israel has expressed an interest in the option of securing one of the two seats reserved for countries in the Western European and Others regional grouping). Germany’s decision courts disaster for Israel, largely because a country still associated with the first “Kauf nicht bei Juden!” boycott against German Jewish products during 1930’s has no qualms about its advocacy for economic sanctions against Israel, the only country that enjoys a so-called “special relationship” with the Federal Republic. Inside Europe, Germany, though not a signatory to an anti-Israel petition, is now symbolically part and parcel of the pro-label petition signed in April 2013 by 13 E.U. foreign ministers from Spain, Portugal, France, the United Kingdom, Ireland, Denmark, Finland, the Netherlands, Belgium, Austria, Slovenia, Luxembourg and Malta. Impeding an imminent E.U. implementation of the label system is the U.S. Secretary of State of John Kerry and his efforts to breathe new life and fire into the peace talks. Kerry asked that the thorny issue of product identification be postponed so as not to disrupt a return to negotiations. The E.U. regulations may clash with U.S. law discouraging, and in many cases barring, companies to conduct business with those that boycott Israel. Though the Greens claim to be toeing the E.U. party line—and stress their concern with providing German customers with “ informed purchasing decisions” about Israeli products, the party has a rather unsavory set of historical actions targeting the Jewish state. A mere seven years later, a leading Green deputy, Hans-Christian Ströbele, who still serves in the Bundestag, justified the later Iraqi leader Saddam Hussein’srocket attacks on the Jewish state during the First Gulf War in 1991 as a "logical, almost compelling consequence of Israel's politics." Ströbele’s fellow MP Kerstin Müller, who helped engineer the Green Party legislative motion to compel the Federal Government to join the label process, is slated in late 2013 to head her party’s Tel Aviv-based Heinrich-Böll-Foundation. It is telling that no other mainstream political party in Europe has devoted a comparable level of legislative energy to securing labels on Israeli products. Another telling example of the Greens’ disparate treatment toward Israel is that they have shown no comprehensive and systematic effort to push Germany’s government to similarly label products from Turkish occupied North Cyprus. In fact, the E.U. has showed no appetite for product labeling from territorial conflicts spanning the globe: Gibraltar, the Falklands, Western Sahara, Tibet, Kashmir, the Russian-held regions of Georgia, Armenian-held regions of Azerbaijan, North Cyprus, and Kosovo. Israeli products remain the notable exception subject to EU consumer protection. Sadly, the label measure will toss a wrench into the potential for bilateral peace talks between the Palestinians and Israelis, and it accomplishes the converse of what the E.U. seeks: namely, a negotiated solution between the parties and not one imposed on Israel. 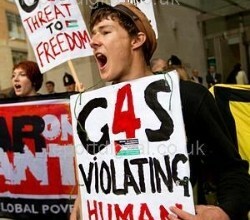 On Thursday 6th June 2013, executives and shareholders attending the G4S' Annual General Meeting (AGM) will face a storm of protest against G4S' profiting from Israel's illegal detention and torture of Palestinians, Palestine Solidarity Campaign (PSC) said in a press statement. Human rights campaigners will gather outside the G4S' AGM to alert shareholders to the company's complicity in the systematic abuse of human rights and international law. • security systems and other services for Israeli prisons which hold Palestinian political prisoners transferred from occupied Palestine. This is in contravention of Article 76 of the Fourth Geneva Convention which prohibits the transfer of prisoners from occupied territory into the territory of the occupier. • G4S also provides equipment for Israeli prisons and detention facilities, at which human rights organisations have documented systematic torture and ill treatment of Palestinian prisoners, including children. • G4S provides equipment and services to Israeli checkpoints in the West Bank that form part of the route of Israel's illegal Wall and to the terminals isolating the occupied and besieged territory of Gaza. • G4S has also signed contracts for equipment and services for the West Bank Israeli Police headquarters and to private businesses based in illegal Israeli settlements. Sarah Colborne, Director of Palestine Solidarity Campaign said: "G4S cannot expect to do business as usual whilst it equips Israeli prisons which hold Palestinians in breach of the Geneva Convention. G4S attempts to portray itself as an ethical company³ but the reality is the company assists Israel in its illegal imprisonment of Palestinians. "Companies are discovering that there is a price to pay for doing business with Israel's occupation – and are losing contracts worth millions as a result. Just as Veolia has paid a significant price for its complicity, we are putting G4S on notice: stop facilitating Israel's violations of international law and human rights, and pull out of its Israeli contracts – otherwise your business will suffer as a key target of the Boycott, Divestment and Sanctions campaign," concluded Colborne. Palestinian civil society has called for people of conscience across the world to support Boycott, Divestment and Sanctions against companies such as G4S, who are complicit in Israel's crimes against Palestinians. it's worth mentioning that the protest will take place on Thursday 6 June, between 1-4pm, outside Salter's Hall, 4 Fore Street, London EC2Y 5DE. R&B singing sensation Alicia Keys is sticking to her guns and will move ahead with her plans to perform a concert in Tel Aviv this July, despite having recently received a personal plea from Alice Walker, author of "The Color Purple." Walker sent a letter to Keys, urging her to join the anti-Israel Boycott, Sanctions and Divestment (BDS) movement. and even went as far as warning that if she didn't – she would be putting her "soul in danger." You were not born when we, your elders who love you, boycotted institutions in the US South to end an American apartheid less lethal than Israel’s against the Palestinian people. Google Montgomery Bus Boycott, if you don’t know about this civil rights history already. We changed our country fundamentally, and the various boycotts of Israeli institutions and products will do the same there. It is our only non-violent option and, as we learned from our own struggle in America, nonviolence is the only path to a peaceful future. If you go to my website and blog alicewalkersgarden.com, you can quickly find many articles I have written over the years that explain why a cultural boycott of Israel and Israeli institutions (not individuals) is the only option left to artists who cannot bear the unconscionable harm Israel inflicts every day on the people of Palestine, whose major 'crime' is that they exist in their own land, land that Israel wants to control as its own. Under a campaign named 'Brand Israel,' Israeli officials have stated specifically their intent to downplay the Palestinian conflict by using culture and arts to showcase Israel as a modern, welcoming place. This is actually a wonderful opportunity for you to learn about something sorrowful, and amazing: That our government (Obama in particular) supports a system that is cruel, unjust, and unbelievably evil. You can spend months, and years, as I have, pondering this situation. Layer upon layer of lies, misinformation, fear, cowardice and complicity. Greed. It is a vast eye-opener into the causes of much of the affliction in our suffering world. I have kept you in my awareness as someone of conscience and caring, especially about the children of the world. Please, if you can manage it, go to visit the children in Gaza, and sing to them of our mutual love of all children, and of their right not to be harmed simply because they exist. Pressure from an Israeli law office calling itself Shurat HaDin, the Israel Law Center, publicly boasted on Thursday of its behind-the-scenes success in persuading the Securities and Exchange Commission (SEC) to grant the pension fund giant TIAA-CREF permission to withhold a divestment shareholder resolution from shareholder voting, a press statement said on Friday. The statement by “We Divest,” a US-based coalition of human rights groups, said the proposed resolution would have asked TIAA-CREF to divest from companies engaging in egregious human rights violations, including those significantly supporting the Israeli occupation of Palestinian lands. TIAA-CREF had previously disclosed that the Israel Law Center had threatened to sue TIAA-CREF if the SEC were to decline to grant a “no action” letter and shareholders had approved the resolution, its aid. “Neither the US nor New York State “anti-boycott” laws cited by the Israel Law Center have been interpreted or enforced to bar divestment from equities in companies supporting human rights violations or for other socially motivated reasons. Nor do these laws bar human rights boycotts,” said the statement. “The protected status of socially and rights-based boycotts and divestment actions is a fundamental right of political activism under the American constitution. Israel has no constitutionally protected free speech rights, and in fact has outlawed the advocacy of boycotts called to end the Israeli occupation,” it added. We Divest is a national, coalition-led initiative by Adalah-NY, the American Friends Service Committee, Grassroots International, Jewish Voice for Peace, the US Campaign to End the Israeli Occupation, and the US Palestinian Community Network. A Palestinian public committee denounced "Deadlock Breaking Initiative" initiated by Israeli and Palestinian businessmen to put end to political conflict that impacted their investment, describing it as a kind of 'normalization with Israel' Palestinian campaign of boycotts, divestment and sanctions against Israel (Palestinian BDS National Committee) called in a press release for rejecting the initiative, which involves "a new attempt to waiver the inalienable rights of the Palestinian people in return for promised billions of dollars." The committee stressed that the biggest beneficiary of the initiative is the Israeli state, in addition to a handful of Palestinian capitalists who put their own interests above all other national and moral considerations. It appealed to the Palestinian people, forces and institutions to firmly confront all forms of normalization and strengthen the international boycott against Israel. Palestinian businessman Munib al-Masri and his Israeli counterpart Yossi Vardi have launched in May 2012 Deadlock Breaking Initiative during "World Economic Forum". During "World Economic Forum" 2013 which took place a few days ago on the Dead Sea shores in Jordan a number of Palestinian and Israeli investors announced backing the initiative. In light of the human rights calls to boycott and isolate the Israeli entity, Palestinian and Israeli businessmen have launched "Deadlock Breaking Initiative" in order to reach out for a two-state solution. 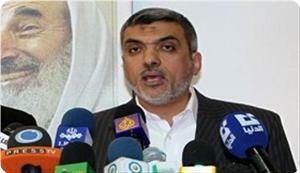 The Palestinian BDS National Committee denounced, in a press release on Wednesday, the "Deadlock Breaking Initiative". The committee considered the initiative as "a renewed attempt to neglect the inalienable rights of the Palestinian people, foremost right of return and self-determination, in return for billions of promised dollars. "The initiative shall hold the Israeli occupation the primary beneficiary of the deal, while a handful of capitalist Palestinians looking out to their own interests, accepting dependency on Israeli economy, are to be the second beneficiaries." The committee indicated. 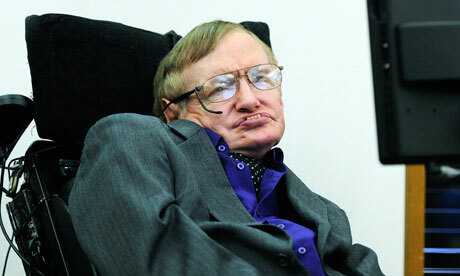 In light of the worldwide boycott movement, most recently was the celebrated physicist Stephen Hawking’s decision to boycott the Presidential Conference, an annual event hosted by Israeli president Shimon Peres, the Palestinian businessman Munib al-Masri was among the most prominent names in the conference, the statement said. The committee confirmed that there is a significantly escalation in normalization in West Bank in contrast to the Palestinian people's position towards normalization. Following the Israeli aggression on Gaza in 2009, Jerusalem University Council decided to boycott the Israeli universities; however the university administration has continued normalizing with the occupation universities. Normalization has also targeted the sports field, where a friendly football match was programmed between an Israeli and Palestinian sports teams in light of the National and Islamic students forces' repeated call to put an end to the academic normalization. The committee statement also noted to the normalization project promoted by the Palestinian health minister and Ambassador to Australia with the Israeli Hadassah Foundation. On the other hand, Palestinian and Israeli companies have recently allied at a conference in "Tel Aviv" under the title: "There are no trade barriers" regardless to the Israeli daily barriers and checkpoints throughout West Bank. 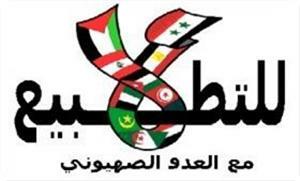 Palestinian BDS National Committee appealed to the Palestinian people and institutions in all places of their presence around the world to mobilize determination to immediately respond in a firm and peaceful way to all forms of normalization. 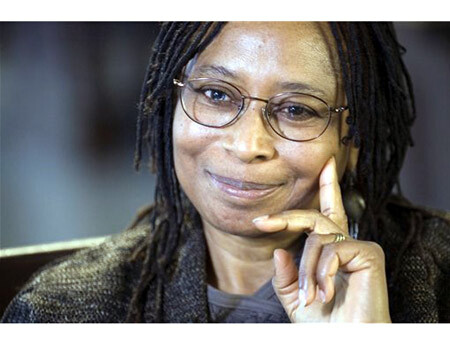 "It would grieve me to know you are putting yourself in danger (soul danger) by performing in an apartheid country that is being boycotted by many global conscious artists," American author, poet and activist Alice Walker said on Wednesday. In an open letter, the author urged R&B singer Alicia Keys to cancel her planned July performance in Israel and join the cultural boycott of Israel. Likening the situation to that of America before the Civil Rights Movement, Walker said that boycotting institutions and products can act as a nonviolent option to end an apartheid "less lethal than Israel's against the Palestinian people." Walker stated it is the "only option left to artists who cannot bear the unconscionable harm Israel inflicts every day on the people of Palestine." Walker has been a long-time activist of Palestinian rights, and visited Gaza in 2008. In the open letter, she urged the singer to do the same, telling her to "sing to them of our mutual love of all children, and of their right not to be harmed simply because they exist." Turning to America's support of Israel, the author claimed the Obama administration "in particular" supports a system that is "cruel, unjust, and unbelievably evil." Days after Alicia Keys confirmed her performance, the Boycott, Sanctions and Divestment (BDS) movement begun to turn its cogs as websites, Facebook pages, and petitions urged Keys to cancel her plans to play in Tel Aviv. Ezzet Al-Resheq, a political bureau member of Hamas, hailed in a terse press statement on Saturday the Jordanian and Turkish airlines for boycotting an Israeli-sponsored tourism conference in Jerusalem. 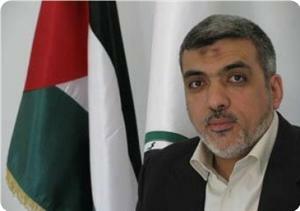 Resheq said that his movement appreciated the position of both airlines and considered it a step in the right direction. He welcomed all Arab and Islamic positions that boycott Israel and contribute to its isolation on all levels. Political and popular pressures led both the Turkish and Jordanian airlines to withdraw their sponsorship of the tourism conference that is due to open in Jerusalem on May 27th under the patronage of the Israeli tourism ministry and Jerusalem municipality. The Boycott Divestment and Sanctions movement came under fire recently (the Independent 18 May 2013) in a ranting piece by Howard Jacobson - a well-known British writer - who attempts to protect his beloved State of Israel by resorting to the tired mantra of anti-Semitism - a well-rehearsed weapon employed by pro-Zionists in order to shield the Israeli state from all forms of justifiable criticism. In his cynical mishmash Mr Jacobson threw together accusations of implied, anti-Semitism against Judge Anthony Snelosn, who after thorough investigation threw out-of court a complaint of anti-Semitism against the University College Union made by a committed Zionist UCL student, as well as berating the world-renown scientist Stephen Hawking for joining the academic boycott on Israeli universities and cancelling his attendance of a conference organised by Israeli academia. The Palestine Solidarity Movement is (wait for it) accused by Mr. Jacobson of anti-Semitism for posting Stephen Hawking's public announcement on its website without including the word "peace" which , according to Mr Jacobson, received (or had to receive) a major space in Mr Hawking's announcement. But above all, the Boycott Divestment and Sanctions movement (BDS) is the main culprit of Howard's blasted rage against anti-Semitism, or rather against any criticism of his endearing second home- the Israeli state. Howard Jacobson continues his rambling piece by offering his own answer to the boycott "To those who ask why Israel alone of all offending countries is to be boycotted , the answer comes back loud and clear from boycotters that because they cannot change the whole world, that is no reason not to try to change some small part". As a committed boycotter (1) an an is an Israeli-born and bred who had sadly witnessed the plight of the Palestinians as from the time of the 1948 Naqba (catastrophe), I may offer Mr. Jacobson some more rational and factual answers to his question of why Israel is being singled out of all other offending countries?. Perhaps Mr. Jacobson should be reminded that Israel is the one which has singled herself out by claiming to be the "only democracy in the Middle East", and rebutting accusations of brutality by praising the "purity of its weapons" and its humane methods of "targeted killing" - where its military is employing precise bombings by a remote -control drones without any collateral damage. The civilian carnage of hundreds of innocent citizens (half of them children) during the onslaught on Gaza (2008/9), and the continued siege of the Strip as well as the ongoing military raids on villages and refugee camps in the West Bank is a sad testimony to the sheer barbarism of the Israeli forces which should call for intervention of the West and of the great allay of Israel - the USA. However, it seems that the leaders of the West keep their damning silence and let Israel to continue her expansion of Jewish settlements in the West Bank and her air and land attacks on Gaza. "Boycotts have an honourable history, both as a weapon of the weak and as a non-violent alternative to more forceful action"...The essence of a boycott is the shared decision, by those who if acting individually would have no power, to provide a compelling moral or practical argument against the continuation of deplorable practices" - as stated rationally and convincingly by Why Boycott Israeli Universities manifesto which was issued by the British Committee for the Universities of Palestine- (BRICUP,pp . 7-11, 2007). Indeed, BRICUP's booklet lists a number of those deplorable actions which, in my view, each one of them calls for a boycott by members of civil society of whom academics always played a major role. 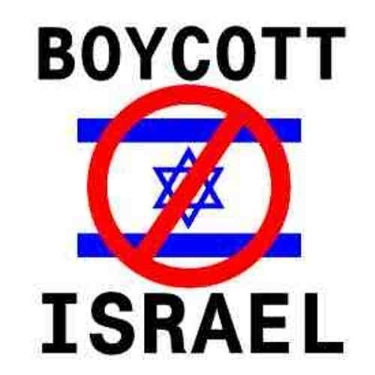 But first and foremost, the boycott should serve to mark and remind Western society of Israel's ongoing blockade on Gaza which deprives the 1.5 million residents of the Strip of their freedom - aiming to bring the population of Gaza into its knees by keeping women, children elderly and disabled residents in conditions of near starvation, lack of medical supply and services, shortage of staple food, poor sanitation, limited energy and fuel and abject poverty which continues to stifle the rundown and crowded refugee camps of Gaza . Being an Israeli human rights activist, I do not consider Israel as my homeland any longer. Yet, I fully recognise the rights of the Palestinians to their own land and independent state. I believe that a boycott of Israel in all its different forms - be it, commercial, economic, financial, cultural, academic as well as total arms embargo - is perhaps the only way members civil society could express effectively their protest against Israel's continued violation of human rights which is being carried out with impunity. The European Union is still studying the possibility of labeling products made in illegal Israeli settlements, an EU official said Monday, dismissing media reports that a decision was taken to delay the move. Israeli daily Haaretz reported Sunday that US Secretary of State John Kerry and other senior officials had asked Ashton to delay enforcement of the proposal, with the Americans saying that it would harm Kerry's efforts to restart peace talks. "The EU decided to give Kerry the time he asked for and see whether the negotiations are resumed," a European diplomat said, according to the Haaretz report. Speaking in Jenin, John Gatt-Rutter, the European Union Representative in Jerusalem, denied that any decision had been taken to postpone enforcement of legislation to label settlement goods. The EU official said that settlement products will not be given the privileges that other Israeli products receive in the European market, adding that settlements are illegal and undermine efforts for peace. After initially criticizing reports of US involvement in pressuring the EU to delay the legislation, Hanan Ashrawi issued a statement confirming that there had been no change in the EU position and no attempts by America to delay the labeling of illegal settlement products. U.S. Secretary of State John Kerry asked his EU counterpart Catherine Ashton to put off the move as he tries to restart Israeli-Palestinian negotiations. At the United States' request, the European Union has delayed fully enforcing its decision to label products from West Bank settlements in European stores. European diplomats and senior officials in Jerusalem said the issue, which was due to be pushed through at the EU's Foreign Affairs Council this week, was put off to the end of June. A year ago, the foreign ministers of the 27 EU member states decided to fully enforce EU legislation regarding products originating from the settlements. Such products would be labeled throughout the EU. For several months, no EU member moved to carry out the decision. But in February, foreign policy chief Catherine Ashton sent a letter to her colleagues asking them to enforce EU legislation on the issue. In mid-April, foreign ministers of 13 member states including France, Britain, Spain and the Netherlands replied to Ashton, expressing support for clearly labeling products imported from the settlements. But the ministers asked Ashton to draft clear directives and submit them to the Foreign Affairs Council for approval. In the past month, EU officials, led by the organization's Middle East representative Christian Berger, have discussed the issue. The officials considered submitting regulations to the Foreign Affairs Council at its meeting this week. A senior official in Jerusalem said Israel had asked the U.S. administration to help stop or at least delay the EU decision to label products. He said Israel even asked for Secretary of State John Kerry's intervention. Kerry and other senior U.S. officials asked Ashton and her staff, as well as several major EU states, to put off full enforcement. According to two European diplomats, the Americans said enforcing the decision at this time would harm Kerry's efforts to revive negotiations between Israel and the Palestinians. Kerry started talks with Prime Minister Benjamin Netanyahu and Palestinian President Mahmoud Abbas on March 23 to prepare the ground for resuming peace negotiations. During this time, Netanyahu promised to limit construction in the settlements, while Abbas promised to suspend unilateral moves at the United Nations toward Palestinian statehood. 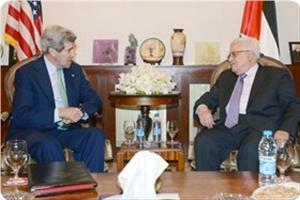 Kerry has asked the sides for an extension of two to three weeks, and both Netanyahu and Abbas agreed. The Americans told the Europeans that Kerry wants to present a plan for resuming the Israel-Palestinians negotiations by mid-June. The Americans therefore asked the EU to put off the labeling issue to June. "The EU decided to give Kerry the time he asked for and see whether the negotiations are resumed," a European diplomat said. The EU is frustrated by the standstill in the peace process, and its member states, even those friendly to Israel, want to do something about the settlements, the sources said. For example, Czech Foreign Minister Karel Schwarzenberg said during his visit to Israel around two weeks ago that it was very difficult for Israel's friends in Europe to defend its policy on the Palestinians. In an interview with the website Times of Israel, Schwarzenberg said the settlement building plans were "obnoxious" and that he was in favor of labeling settlement products in European stores. An Israeli official said the delay in the EU's decision was conditional on progress in the talks with the Palestinians. Unless a breakthrough is achieved in the talks next month, the EU will instruct all 27 member states to label products from West Bank settlements, he said. 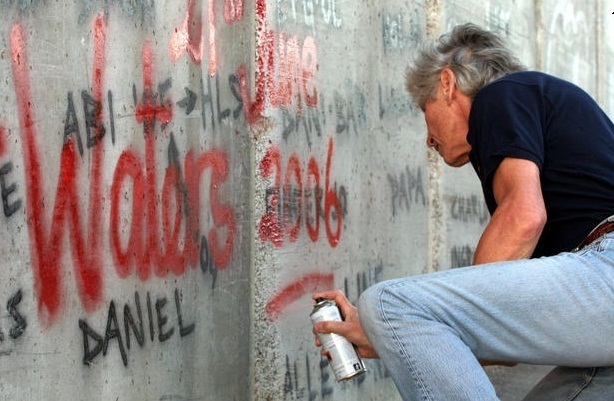 Former Pink Floyd frontman Roger Waters says he was misinterpreted last week in a Huffington Post Live interview when he said he was "reconsidering the publishing of a letter to my fellow musicians about a cultural boycott of Israel." Now he wishes to "clear the somewhat muddied waters." Many websites around the world, including Ynet, reported that Waters was rethinking his call for a boycott after he told Huffington Post, "I am considering my position. The letter asking my fellow musicians to boycott Israel has never appeared. I am thinking all of this through extremely carefully because I care more about the outcome, because I care about the people involved, than I do about the moment." In a note published on his Facebook page on Friday, Waters clarified: "This was misinterpreted by some as meaning I was reconsidering my position on the Israel/Palestine issue, and more alarmingly that I had made an about face on this issue; not so. My position remains the same." He went on to apologize for the misrepresentations causing "some distress, particularly to my many friends. "To my fellow musicians: Please join me in a cultural boycott of Israel until such time as the Israeli government ceases its illegal occupation of Palestinian lands and reverses its Illegal program of settlement building, both of which, it is widely agreed, constitute insurmountable impediments to any peaceful solution for either the Palestinian or the Israeli people. "Peace for them both is our goal. Not to talk is not an option," he concluded. Member of Hamas's political bureau Ezzat Al-Resheq hailed the European union (EU) for its decision to label products imported from Israeli settlements in the West Bank and east Jerusalem. "We welcome the support of the EU foreign ministers for the efforts being made to label the Zionist products manufactured in the occupied West Bank lands, Resheq stated in a press release. The Hamas official also urged the EU to reconsider its partnership with the Israeli regime and bar the Israeli settlers from entering its territories. "We look positively to such move, albeit late, and urge the EU to take further measures preventing all products manufactured in Israeli settlements from being shipped to its territories in order to delegitimize the presence of settlements on occupied lands belonging to the Palestinian people who are exposed to daily violations and crimes at the hand of settlers," he emphasized. 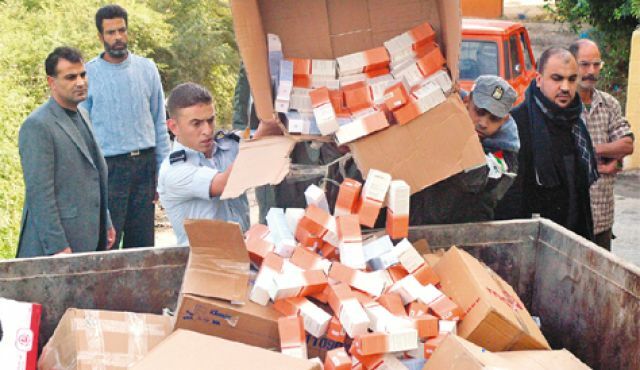 Palestinian officials dumping settlement-made products. 13 foreign ministers ask EU Foreign Minister Catherine Ashton that she formulate rules identifying goods from West Bank, East Jerusalem. Half of European Union states notified EU Foreign Minister Catherine Ashton of their support for local businesses to label products from Israeli settlements in the West Bank and East Jerusalem. At this point, those states are asking Ashton to form agreed-upon guidelines before taking any real action. On Friday afternoon, the French news agency published a letter sent to Ashton on April 12, bearing the signatures of 13 out of 27 EU foreign ministers. Among those who signed the letter were the foreign ministers of Britain, France, the Netherlands, Austria, Spain, Denmark, Malta, Luxembourg, Belgium, Portugal, Finland, Ireland, and Slovenia. "We warmly welcome your commitment to work with fellow commissioners to prepare EU-wide guidelines on the labeling of settlement produce," read the letter sent to Asthon. "This is an important step to ensure correct and coherent application of EU consumer protection and labeling legislation, which is in fulfillment of our previous commitments and is fully consistent with long-standing EU policy in relation to Israeli settlements in the Occupied Palestinian Territories… We stand ready to assist you in taking forward this important work,". At the beginning of March, the Dutch government created guidelines for its private sector regarding labeling products from Israeli settlements. The Netherlands was the second nation to do so following Britain, which has had such policies for a few years. A few days after the guidelines were released, the Dutch government backtracked, and claimed that the new guidelines were not an official order, rather a draft that is still being developed and tested. The Netherlands, which was startled by Israel’s fierce reaction, decided to stall the move in order to win the support of other European nations. 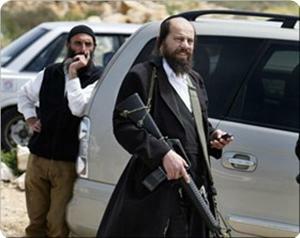 The letter sent by the 13 foreign ministers is another step toward labeling products produced in the settlements. The letter does not include any official decision or order, but rather a request that Asthon come up with general guidelines and rules that could be adopted by the entire EU in the future. 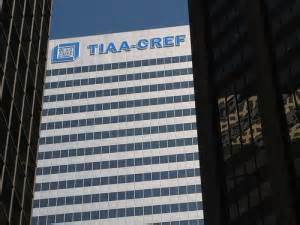 An Israeli law center is threatening to file a lawsuit against the American pension fund giant, TIAA-CREF, should the shareholders submit for a vote a proposal calling on the board to divest from companies supporting the Israeli occupation of the Palestinian Territory, a statement from the We Divest group said Friday. “Shareholders request that the Board end investments in companies that, in the trustees’ judgment, substantially contribute to or enable egregious violations of human rights, including companies whose business supports Israel’s occupation,” said the resolution filed by 200 CREF shareholders. We Divest, a coalition of several US-based human rights and anti-Israeli occupation groups, said the TIAA-CREF was seeking permission from the Security and Exchange Commission to allow it to deny shareholders the opportunity to vote on what would be the largest Israel/Palestine referendum to date in the United States. 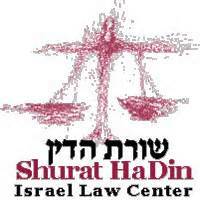 The Israeli Shurat HaDin (Israel Law Center) has recently threatened for file a lawsuit if CREF should submit the shareholder proposal for a democratic vote.